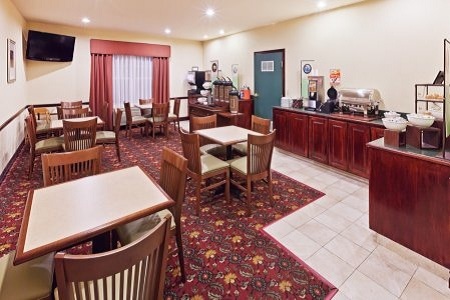 Whether you just landed at Tulsa International Airport (TUL) or pulled off I-244, the Country Inn & Suites® by Radisson, Tulsa, OK is an ideal place for you to rest up. Stretch your legs by walking the downtown streets, or tour the plains of Africa and the forests of Asia at the nearby Tulsa Zoo. Traveling with family or need extra space? 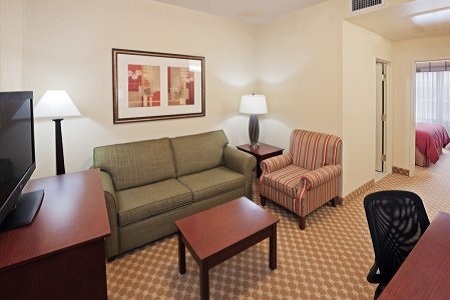 Reserve a Two-room Suite to enjoy two separate bedrooms, a living area with a sleeper sofa, a microwave and a refrigerator. Our free, hot breakfast features Belgian waffles, a variety of cereals and fresh fruit. For lunch or dinner, check out one of the restaurants within three miles of the hotel. Hatfield’s serves juicy burgers and tender barbecue, and Mazzio’s Italian Eatery dishes out tasty Italian cuisine alongside family-size pizzas. Tulsa Zoo – This zoo features a variety of exhibits built to mirror the animals’ natural habitats. Drive about 10 minutes from the hotel to visit with lions and white rhinos at the African Plains exhibit. Spend some time with Gunda, a 66-year-old Asian elephant older than any other animal or staff member at the zoo. Historic Cherry Street – Located about 10 miles from the hotel, this section of downtown Tulsa is filled with unique boutiques, vintage shops and local dining options. Stop by the Cherry Street Farmers’ Market on Saturday mornings to try some fresh cheese on artisan bread and browse handmade crafts. Woodland Hills Mall – The largest shopping mall in Oklahoma is only 15 minutes from the hotel. The facility houses more than 160 stores on three floors, including Macy’s, Gap and Apple. Grab a pretzel from Auntie Anne’s and a Double Doozie from Great American Cookies for an unbeatable salty-sweet combination. 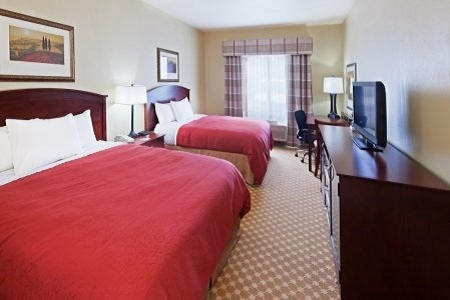 Read more about our hotel’s location near Tulsa Airport. Reserve our meeting space to host a social gathering or seminar for up to 25 guests. 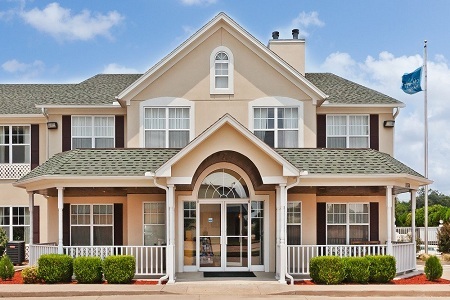 We offer a convenient location near Tulsa International Airport with thoughtful amenities like free high-speed Internet access. Our staff is on hand to assist with everything from event planning to catering arrangements.